Weapons paid for by the United States appear to have been used in the killings of at least 272 Palestinians since 2009. The video shows a familiar West Bank scene. As a Palestinian flag in Nabi Saleh flutters in the wind on a spring day in 2017, two Palestinians with slingshots launch stones at Israeli soldiers. About a dozen others stand to the side, behind the ruins of a demolished house, calmly observing. Then, a young man wearing a white T-shirt and jeans, alone, is seen heading up a slight slope toward the house. The camera jerks for a second, and the youth disappears from the frame. A single shot rings out. The observers duck. The young man, back in the frame, is running toward the others, holding his stomach. Then he falls. The screams for an ambulance begin. The young man’s name was Sabaa Obeid, a 22-year-old from Salfit, a town about 13 miles north. He, too, had been throwing stones. Shot by one of the Israeli soldiers, he was declared dead later that day. The soldier who killed Obeid used a Ruger sniper rifle, a weapon manufactured by Sturm, Ruger & Co., the third biggest gun company in the United States. U.S. taxpayer dollars likely paid for it. Israel must spend roughly 75 percent of its annual military aid from the United States on U.S.-made weapons. The shooting of Obeid with a U.S.-made weapon was not an isolated incident. Human rights groups have recorded dozens of incidents of the Israeli military using U.S.-made weapons in unlawful ways to injure and kill Palestinian civilians. During weekly demonstrations in Gaza last spring, for example, Amnesty International documented Israeli snipers injuring unarmed Palestinian protesters using weapons manufactured by Remington, the U.S.’s second largest gun corporation. Taken together, witness testimony, video evidence and human-rights reports paint a picture of U.S. arms flowing to an Israeli army that recklessly uses live ammunition on civilians who pose little threat, in apparent violation of international law. Israel’s army has long deployed U.S. weapons to kill Palestinian civilians. An In These Times survey of detailed reports published by the United Nations, Israeli human rights group B’Tselem, Human Rights Watch and Amnesty International reveals that, since 2009, at least 272 Palestinians appear to have been killed by U.S.-made weapons used by Israeli forces. Fourteen of these killings occurred during law enforcement situations (outside of an active war zone), such as during demonstrations. Some of these incidents have been captured on video. In one video from 2016, for example, an Israeli soldier, armed with a U.S.-made M4 assault rifle, executed an injured Palestinian who was lying still on a Hebron street after he stabbed a soldier. The full death toll of Palestinians killed by U.S. weapons is likely far higher, since many reports are not able to identify the weapon used. 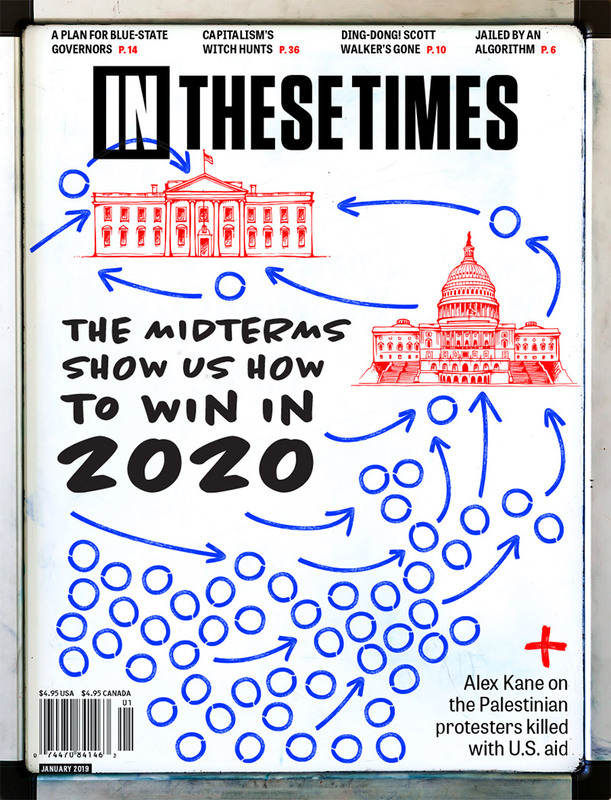 It’s not supposed to be this way. U.S. arms exports to Israel (and other countries) are governed by laws placing restrictions on sales to nations that abuse human rights. Campaigns to cut U.S. military aid to Israel have latched onto a particular measure, known as the Leahy Law. The law prohibits U.S. assistance or training from flowing to foreign military units that have committed a gross violation of human rights, unless the foreign government has held that unit accountable. But interviews with human rights advocates, congressional aides and former and current U.S. officials reveal that enforcement of the Leahy Law in Israel is lax, with no tracking of which army units receive U.S. weapons. Human rights advocates say they have brought the State Department evidence of specific crimes committed by soldiers who clearly used U.S. weapons, only to have that evidence brushed off. A current U.S. official, who asked for anonymity because they are not authorized to speak to the press and could be fired as a result, told In These Times that they are not aware of any time when an Israeli unit was cut off from U.S. assistance under the Leahy Law. This lack of enforcement allows Israel to get away with extrajudicial executions of Palestinians, human rights advocates say. Like that of many Palestinians, Sabaa Obeid’s life was shaped, constrained and ultimately ended by Israel’s occupation, which began in 1967. Obeid lived in a modest, two-story stone home in Salfit, with his mother, father and brothers. Today it is decorated with reminders of his life—like the motorbike clock that hangs on the wall, an homage to his love of motorcycles—and with posters memorializing his death. The city of about 11,000 is an administrative and commercial hub. But Israel’s separation wall snakes around the Israeli settlement of Ariel to the north of the city. The settlement divides Salfit from many of the surrounding villages. Obeid came of age during the Second Intifada of 2000-2005, a bloody Palestinian uprising during which Israeli forces killed 3,223 Palestinians and Palestinians killed 950 Israelis, with numerous civilians and children slain on both sides. Obeid’s parents say that one of his first experiences with the reality of Israeli occupation came when soldiers raided his elementary school in Salfit, shooting tear gas at the students. As Obeid grew older, he and his friends would come outside to throw rocks at Israeli soldiers when they raided the city on manhunts. In April 2017, about 1,500 Palestinian prisoners launched a hunger strike for better conditions. To show solidarity, Sabaa Obeid ate very little, and he and his friends set up a symbolic tent in Salfit to gather community support. On May 12, 2017, Obeid headed down to nearby Nabi Saleh, a tiny village famous for its resistance to Israeli occupation, to participate in a protest in support of the strike. In the hills of Nabi Saleh, where the red-tiled roofs of the Israeli-only settlement of Halamish peer down on the village, he joined a group of young Palestinians throwing stones down at two Israeli soldiers who were taking cover behind an unfinished building. One of the soldiers, armed with a Ruger sniper, took potshots at the stone-throwers. A spokesperson for the Israel Defense Forces (IDF) says this confrontation was a “violent riot” that constituted a “threat” because “approximately 100 Palestinians threw rocks at IDF troops and a road used by civilians.” But video footage taken by Mersiha Gadzo, a journalist, shows that at most 20 people were throwing stones, some with their hands, others with slingshots. At around 2:15 p.m., Obeid walked over to a fence and crouched down to throw a few rocks at the two soldiers standing hundreds of feet away. Then he turned to head back toward the rest of the group, according to witness testimony given to B’Tselem. (In These Times could not contact this witness.) 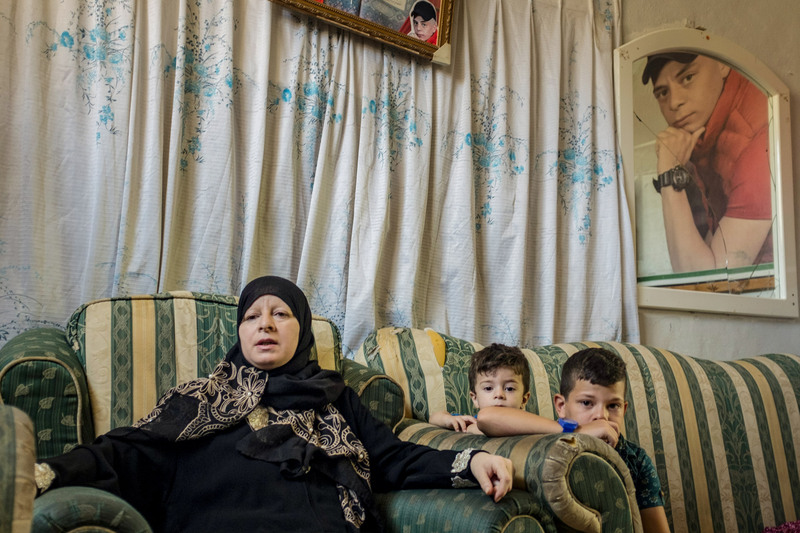 Before he could reach cover behind the remains of what was once a house, the Israeli sniper took aim at Obeid and pulled the trigger on his Ruger rifle, sending a .22 caliber bullet directly into Obeid’s stomach. That afternoon, Obeid was pronounced dead. An IDF spokesperson told In These Times in August 2018 that Obeid’s killing was investigated by military police, and the findings “have been forwarded to the Military Advocate General for further examination.” The IDF did not respond to In These Times’ request for those findings. But the prospects for accountability appear slim. Between 2000 and 2016, only 25 of 280 Israeli soldiers investigated for involvement in the killings of Palestinians have been charged with crimes, according to data compiled by Yesh Din, an Israeli human rights organization. Of those, only eight were convicted—four on charges of negligent manslaughter, two for manslaughter, and two for negligence. 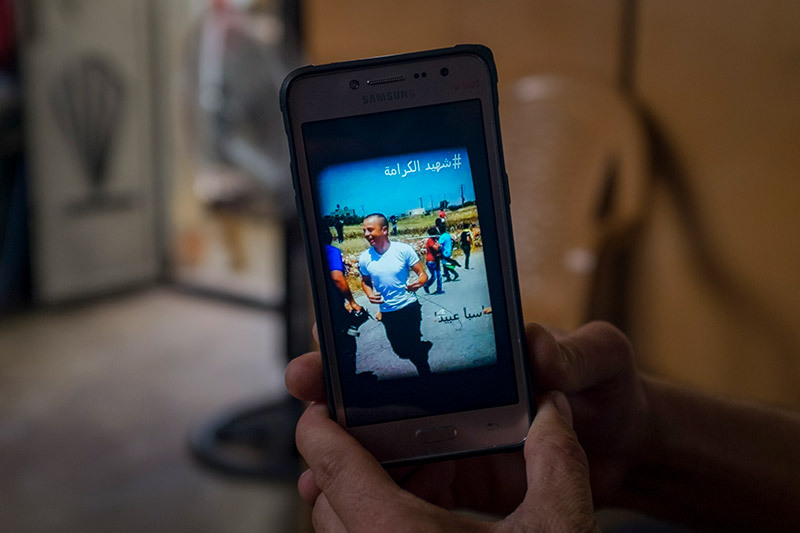 Obeid was the fourth Palestinian killed by Israeli soldiers in Nabi Saleh, where residents began holding weekly unarmed marches in 2009 to protest an Israeli settlement’s takeover of a natural spring long used by the villagers. One of those slain, 28-year-old Mustafa Tamimi, was shot in the face by an Israeli-fired tear gas canister manufactured by Combined Systems Inc., a Pennsylvania corporation. No criminal charges were filed. Israel is the recipient of the largest annual package of Foreign Military Financing, the grant program that allows foreign countries to purchase U.S.-made weapons. 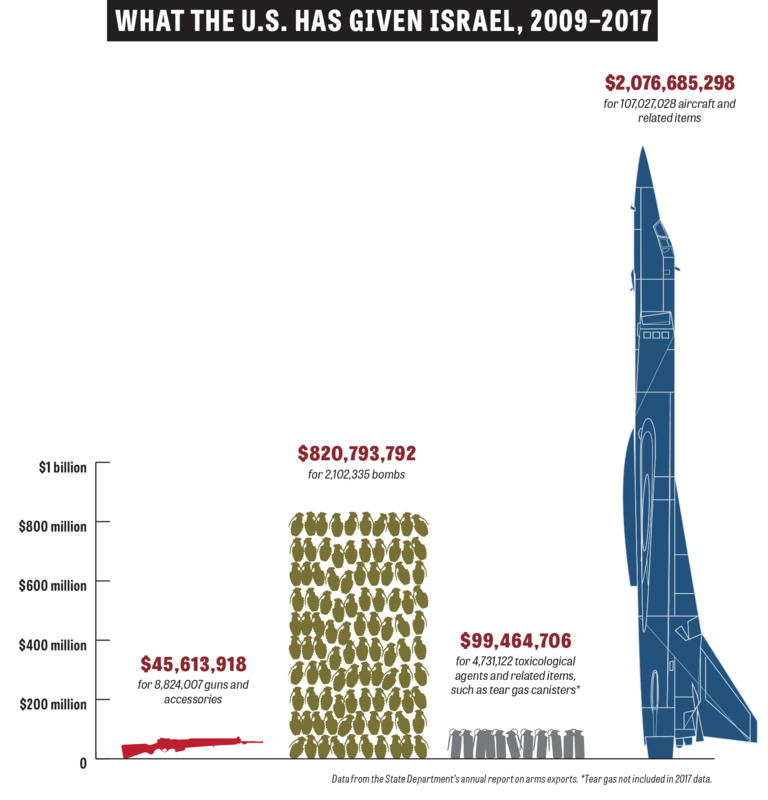 The current terms, signed under the Obama administration and implemented by President Donald Trump, give Israel $38 billion in U.S. military aid in the next 10 years, an increase of $8 billion over the previous decade. This includes $5 billion for missile defense. It’s a lucrative deal for U.S. weapons manufacturers. According to a State Department report, the U.S. authorized the shipment of almost $3 million in firearms last year—like the Ruger sniper rifle that killed Obeid. But it’s unclear how much a particular company like Ruger is profiting; the U.S. government does not break down the purchases by manufacturer. The Israeli newspaper Yedioth Ahronoth reported that in 2011, the Israeli military bought over $27 million worth of equipment in preparation for West Bank protests. The shipments included Ruger rifles and tear-gas canisters. Foreign Military Financing money is not supposed to flow with no strings attached. In 1998, Congress passed what came to be known as the Leahy Law, authored by Sen. Patrick Leahy (D-Vt.). The legislation bans U.S. military aid and training from going to foreign security units that commit human rights abuses, unless the secretary of state determines that the foreign country is holding members of the unit accountable. The law is rarely exercised. According to a 2017 RAND Corporation study, of 180,000 units and individuals vetted by the U.S. government each year under the Leahy Law, only 0.3 percent are rejected for U.S. assistance, in countries such as Colombia, Honduras and Nigeria. Because the Leahy Law is narrow—it only bars assistance to particular military units that commit rights violations, rather than the entire foreign army—Palestinian rights advocates working in Washington see enforcement against Israel as an achievable goal that could curb civilian deaths. In meetings and conversations with the State Department from 2012 to 2015, Mike Coogan, then the legislative coordinator for the U.S. Campaign to End the Israeli Occupation, says he brought up a 2009 Human Rights Watch report on U.S.-supplied white phosphorus that killed Palestinians in Gaza. 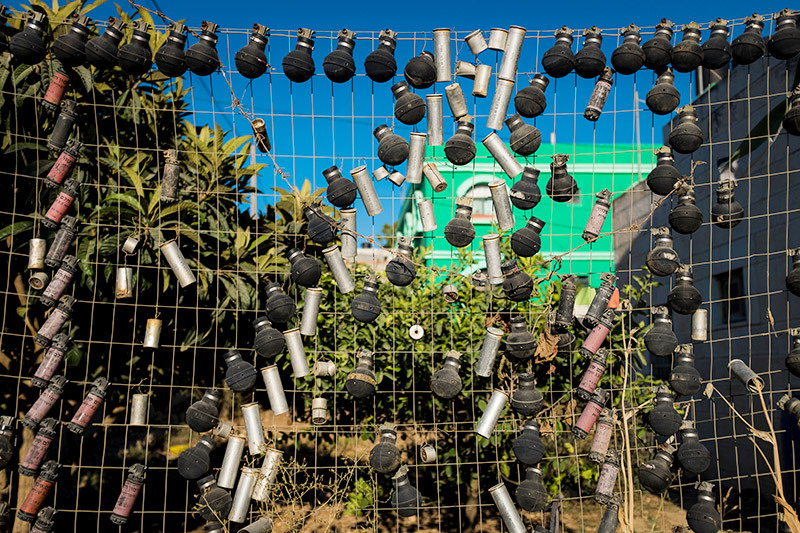 He also communicated with officials about a 2014 Amnesty International report documenting U.S.-made tear gas canisters killing Palestinian protesters. Brad Parker told In These Times that, in meetings about the Leahy Law during the Obama administration’s second term, State Department officials said they do not track where weapons go once they are sent to Israeli units, making it difficult to assess whether the weapons are being misused. Support for Israel on Capitol Hill is driven by a multi-pronged machine: the weapons industry, which makes money from U.S. military aid to Israel; donors, who give to pro-Israel politicians, both Democrats and Republicans; Christian evangelicals, who see support for Israel as part of biblical prophecy and make up a large part of the Republican base; and Israel’s lobbyists, who continually push Washington to ramp up support. Under the Trump Administration, which has fully thrown its support behind Israel’s right-wing government, resistance to enforcing the Leahy Law remains. While the rhetoric against enforcing the Leahy Law more strictly against Israel may have hardened under Trump, there has been no policy change from Obama to Trump, according to Raed Jarrar, an expert on the Leahy Law. Meanwhile, as the Israeli occupation grinds on and Congress continues to sign off on U.S. aid to Israel, Palestinians are left to fume at the fact that U.S. weapons companies, purchased with U.S. taxpayer cash, are supplying Israel with the arms that are killing civilians. This story was reported with the support of the Leonard C. Goodman Institute for Investigative Reporting. Ashira Ramadan contributed research and reporting to this story. Marco Cartolano contributed research and fact-checking. Hannah Freedman created the interactive map of Palestinians killed by U.S. weapons.